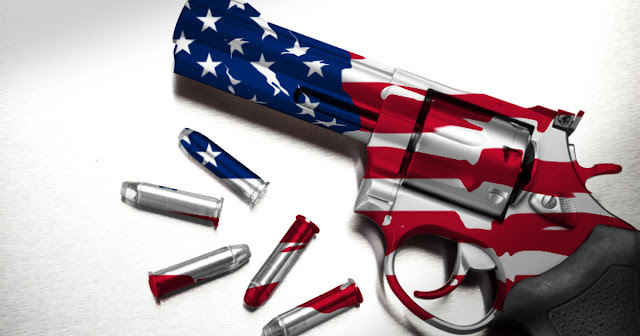 We say to ourselves: these Americans are so clever in many ways, but so hopelessly blind in others. 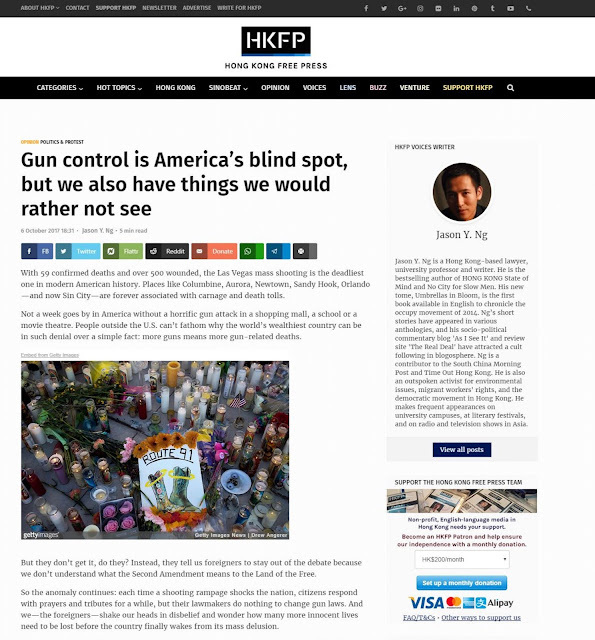 Then again, when it comes to being blind, Hong Kongers aren’t one to pass judgment. 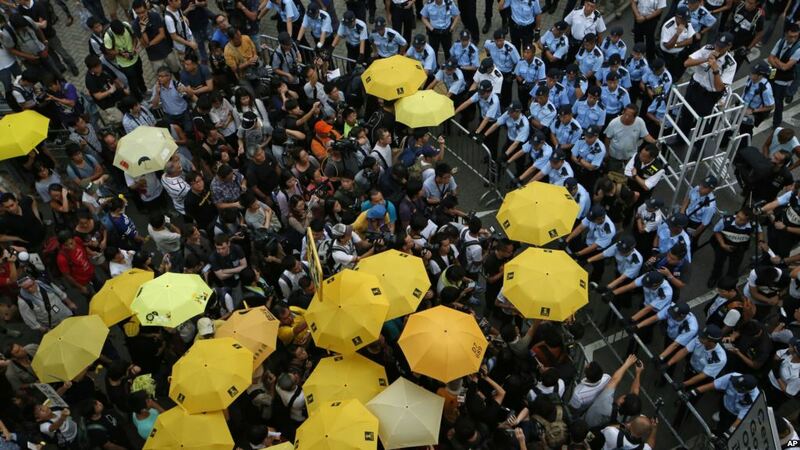 Brazen encroachments on our constitutionally guaranteed rights and semi-autonomy, from the jailing of sixteen activists to the West Kowloon border control proposal and the clampdown on free speech on university campuses, are happening daily with increasing impunity. Any reasonable person outside Hong Kong—the “foreigners” in our eyes—would raise a red flag and sound the alarm, outraged by these incidents individually and even more so by the disturbing pattern they represent. 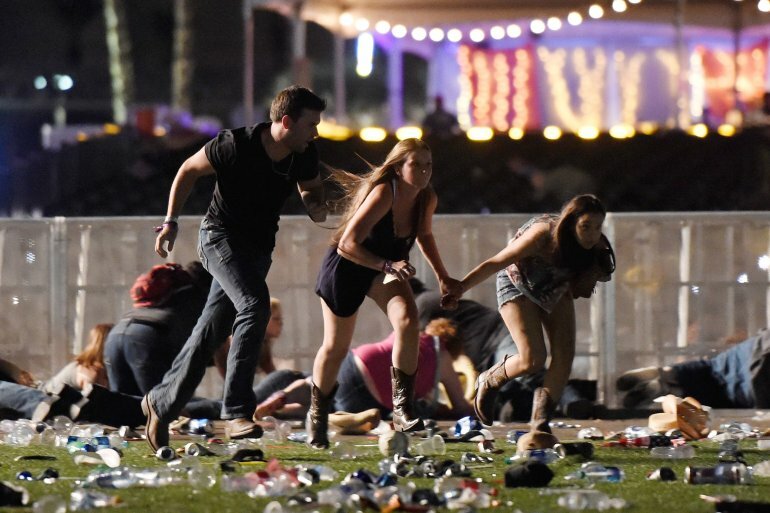 Gun enthusiasts in America are quick to dismiss any causal link between access and violence, and we give ourselves plenty of self-deluding excuses to justify our own anomaly. To the sixteen activists, we say their harsh prison terms are just deserts, because “the law is the law” and “they knew what they were in for.” We are blind to the fact that the Department of Justice is selective and vindictive in their pursuit of dissenters and that our cherished judicial independence is under threat. When the government proposed to voluntarily allow mainland authorities to enforce Chinese law on Hong Kong soil, we ask “What’s the big deal?” and “Who doesn’t want more connectivity and travel conveniences?” Never mind that the arrangement is in clear breach of the Basic Law and will punch another hole in the already fragile one country, two systems framework. To help move the news cycle along, pro-Beijing provocateurs like Junius Ho Kwan-yiu (何君堯) and Ann Chiang Lai-wan (蔣麗芸) are trigger-happy with their unfiltered mouths and dole out an outrageous gaffe every now and then. Call it comic relief or the perfect distraction, we roll our eyes and hit back with swift repartee, marching to their tune like children to the pied piper’s. 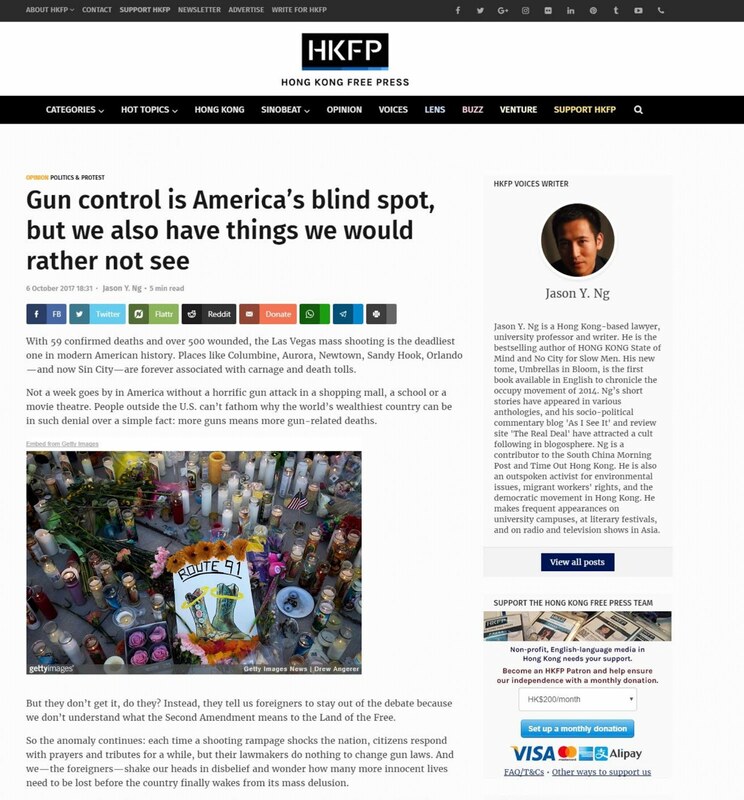 This article was published on Hong Kong Free Press as "Gun control is America's blind spot, but we also have things we would rather not see."